The Companies Act is underpinned by the assumption of liquidity and solvency – directors and owners are mandated to ensure the business can meet all its short term obligations. The best way to achieve this is via cash flow. As cash flow is fundamental to any business, this should be managed by senior management. Sit with your accountant and work out the monthly inflows and outflows from your bank statements. Put them into a spreadsheet and then review this frequently (weekly is desirable) until the cash flows start to get accurate. More importantly you begin to understand the patterns of your company’s cash flows. How much contact do you have with customers? Getting to know them will reduce the chance of slow payment. How quickly do you respond to customer queries? Are credit notes issued promptly? Stock. Do you have a good forecasting system to balance not losing sales with minimising stock holding? Is slow moving stock quickly identified? Creditors. Do you maximise the possibilities with creditors, for example are all possibilities in terms of early settlement discounts taken advantage of? VAT. VAT should be included in your sales figures as well as your purchases, and your VAT return payments factored into your cash flow. Work out your free cash flow. This is the excess cash you generate after liabilities have been met. This is crucial to your business as it means you can finance new assets or pay more dividends. Essentially it gives you flexibility and more freedom to grow and run your business. When you review your business after each month end, build in cash flow to the review. 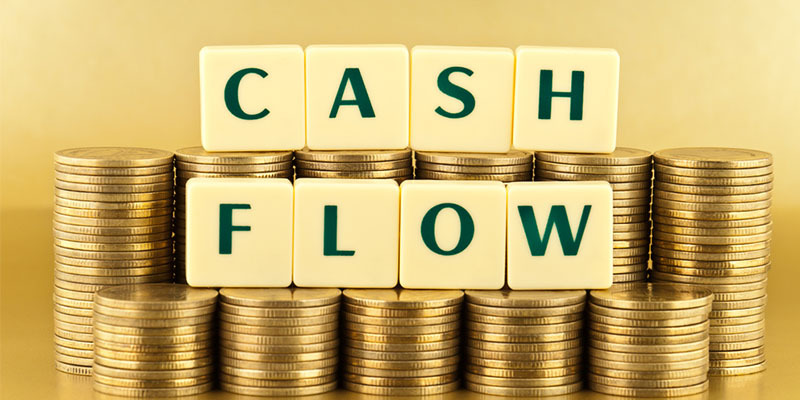 Many businesses now have free cash flow as a key performance indicator. Cash flow is critical to any business – give it the attention it deserves. It will also give you a good understanding of how the business is performing.